The puzzle was SO HARD in the detective. We got to the last piece and struggled on that for about 20 minutes. This was a perfect challenge. This is the best escape room I've done. The staff is super friendly as well and parking was a breeze. 10/10 would go again. 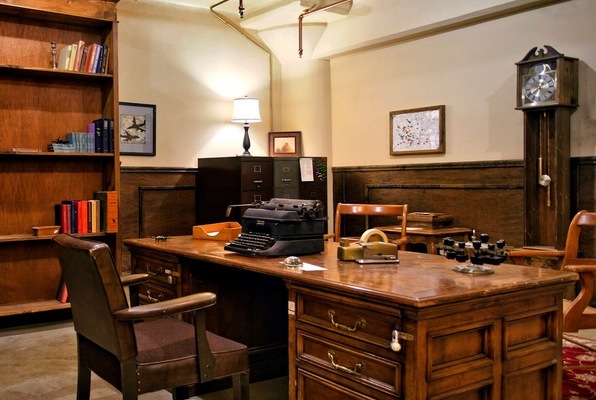 Step back in time into the world of a 1940s private detective. 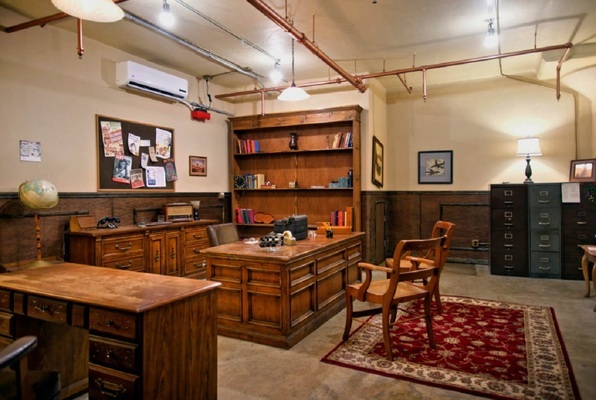 Inside the detective's office, you'll find yourself trapped in a film-noir style Hollywood mystery where you must work together to identify suspects, solve challenging puzzles and clues and find a way out of the room. Will you escape? Reviews of escape game "The Detective"
My sister and I decided to do the detective room not knowing what to expect and it turned out to be so fun! The puzzles were very challenging but we worked as a team and solved most of the puzzles but ended up running out of time. We are now going to do the cavern next and we are determined to get it of this room. Definitely would recommend!! We had 50 minutes to follow the clues and escape, we did it in 46 minutes. The clues were challenging but logical and it was really fun to work with good friends and people I didn't know well to solve them. This experience was quite fun, at first I was a bit hesitant to try this because the thought of being locked in a room with strangers just didn't appeal to me. After my first escape room, I couldn't wait to try all of others. I've seen 3 of the escape rooms from Escape Room LA and their all very well produced and designed, compared to a few others I've seen that aren't nearly as well produced. Once you step into a room, you feel like you're in the environment of the game. Even though you may be a room with strangers, it's fun to be able to talk and meet with new people even if it is for an hour. It's definitely a good way to spend an hour to an hour and a half in LA if you're visiting LA with some free time. But overall the entire experience was super fun and a nice alternative to do something different! You go into this kinda shady looking building and wonder if you're at the right place, on the outside it looks pretty rundown and nondescript, but trust you're at the right spot. Once you arrive, you'll be waiting in the hallway with others until they call you in. Check in is simple: show your email confirmation on your phone or print out. After, they asked we go around the room and introduce ourselves and give a tiny blurb about yourself, which was a nice icebreaker especially since we didn't know the others that signed up for the same event. Next, they went over the rules and hinted at a couple of things, but nothing that would take away the guesswork from us. The staff waited a couple of minutes past our slotted time for the 2 missing people in our group, but they ended up a no show. There's a last chance to use the restroom, make sure you take it because once you ask to leave the room, you aren't allowed to go back in. Once in the room, they started a clock and we broke into an immediate frenzy. It's good to work in pairs and call out to everyone if you found a clue. Meanwhile, there was a staff member dressed as a detective inside the room and a few times he hinted at something if we half-uncovered a clue and were struggling, in a major way. Without him, I honestly don't think we would have solved 3-5 clues... I could see how some people would be really frustrated if they got stuck. Anyway, the next hour went by REALLY quick! Like a lot of the other reviews say: Teamwork + Communication is KEY to well, find the key! The puzzles overall were fun, some more challenging than others, but clever nonetheless and you had to solve all of them in order to find the key. Time ran out and we didn't escape but had a great time anyway. I'd be interested in trying The Cavern. -Rather than allowing 12 people into a room, I'd say 6-8 max is better. The staff was great in offering to take pictures after the event, even when they were literally given 7 different cameras and took multiple photos on each device. We left with a coupon for their other events, i.e. RaceLA, CityRace. Plan ahead by allotting plenty of time before your scheduled event. Parking is in DTLA where majority of the streets are one-way and if you're trying to save yourself a few dollars, you'll most likely circle around a couple of times before deciding on where to park. The lot right next to building where you do the event was $7 on a Saturday, cash only.